Industrial epoxy resin flooring installed in engineering environments is required to provide optimum performance with being subjected to constant forklift traffic, heavy machinery movement, lubricating oils, hydraulic fluids and chemical attack. 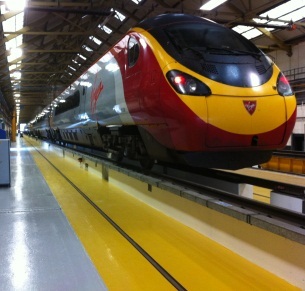 Epoxy Resin and Polyurethane flooring systems are particularly suitable for engineering and manufacturing environments such as Machine Shops, Workshops, Traincare and Railway environments, Plant Rooms, Laboratories, Component Manufacturers and many other applications where a hard-wearing, attractive floor finish is required. Depending on the particular environment, both the epoxy resin and polyurethane systems are available with properties such as anti-slip and enhanced chemical resistance where necessary in the event of likely spillages and possible contamination from aggressive liquids and other hydraulic fluids and fuels.